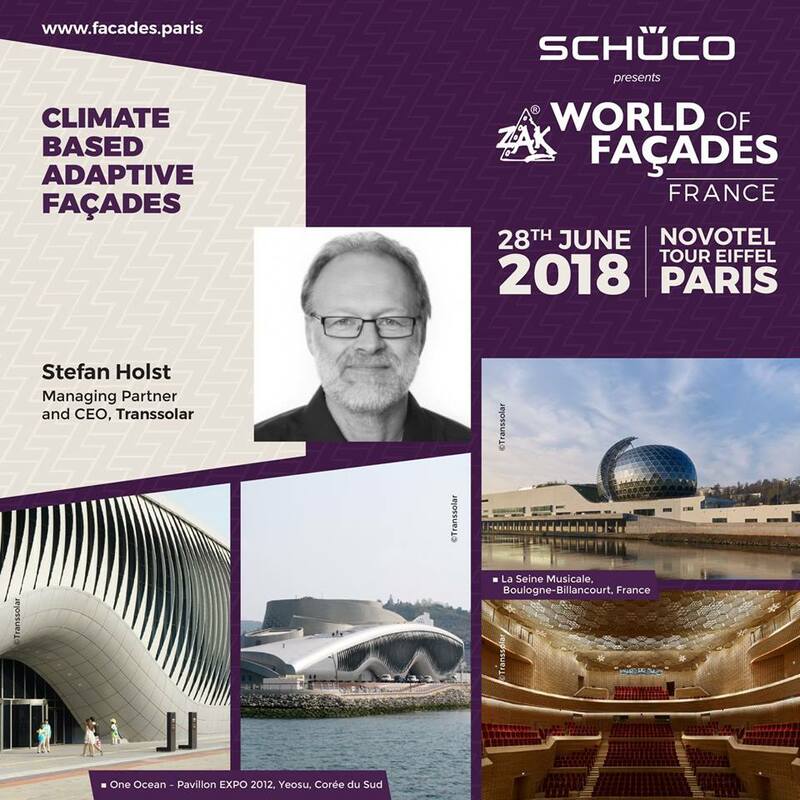 Stefan Holst will be delivering his presentation on innovative façades that adapt to climate at the Zak World of Façades France today in Paris. One impressive example is the One Ocean – Pavillon EXPO 2012. Stefan leads Transsolar’s Munich team with his wide background in high-comfort, low-impact building concepts in projects around the world. He joined Transsolar after having researched on solar energy storage systems and building integration in Munich. Stefan has collaborated with world known architects on numerous international design projects and competitions. He directed the team for Bangkok Airport, the company´s first international large scale project, from the very first innovative concept ideas to final commissioning of the building´s integral concept on site. Stefan has significantly contributed to the company's building and system simulation tools and directed the software development team for several years. He is frequently giving lectures at Universities and international conferences on sustainable design.